When it comes to overnight accommodations, there’s a lot to be said for a clean, comfortable, smartly priced room and the trust that comes with a recognizable name. Just ask Lisa Slupecki, Marketing Director and Chief Bottle Washer (her words), of Econo Lodge® of Traverse City. “We get people here from all walks of life…families, single travelers, contractors, and truck drivers,” she explains. 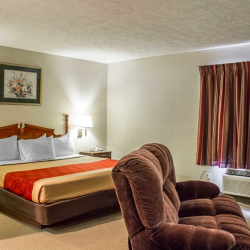 “They all have one thing in common…they want affordable comfort and easy access to the main interest points around town.” The Econo Lodge delivers on all fronts. 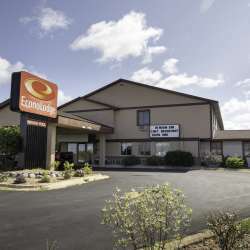 Located just south of downtown Traverse City, the Econo Lodge offers 47 newly refurbished rooms. Last year, the property added all-new flooring and furniture and completely repainted the interior. New artwork and landscaping create a fresh and welcoming feel. An indoor pool and spa are perfect for end-of-day relaxation.